Successful brands think strategically about everything they do. To really kickass online, you need to start by developing a digital marketing strategy that matches with your brand’s long-term objectives. Digital marketing is all about making connections. People do not make purchasing decisions the way they used to. Because of the changing habits of consumers, traditional (offline) marketing is not as effective as it used to be. 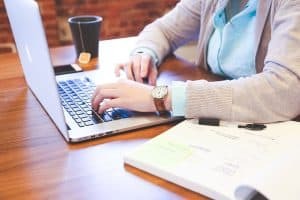 To connect with your audience, you need to meet them online. “Digital” is an umbrella term. It encompasses all the ways your company connects with current and perspective customers online. This includes the obvious things like websites, email lists, social media, blogs, videos, online reviews, etc. It also includes the newer stuff, like chatbots. Digital marketing options are constantly expanding and changing. Naturally, this can leave small and medium-size companies feeling over-whelmed. But the truth is that digital marketing levels the playing field in many ways. Even a business with limited capital and resources can succeed online. The key is to take a strategic, step-by-step approach. Everything you do online should align with clear objectives. And each objective should support meaningful goals. SPECIFIC. MEASURABLE. ACHIEVABLE. RELEVANT. TIMELY. So long as you lack a clear vision of what you want to accomplish, your efforts are likely to be scattered and inefficient. But with S.M.A.R.T. objectives in place, you will be able to refine your focus. For example: If you know your customers use Twitter, one of your goals may be to “drive sales and leads through Twitter”. Once you have solid goals and SMART objectives, you may be tempted to jump into action. This would be a mistake. To get where you want to be, you must start by knowing where you are. Evaluate the quality and effectiveness of each platform, including your website, social media, review sites, etc. To ensure that the audit is thorough, start by taking an inventory of your existing digital content (website pages, blogs, videos, social media sites, etc.). Record everything using a spreadsheet or text document, by page titles or URLs. Consider out-sourcing the audit to a third party. It is important for the digital audit to be objective. This can be difficult if staff are being asked to critique their own content. Creating goals and objectives, and auditing your existing digital presence is hard work. But once it is done, you will be ready to start crafting a digital marketing strategy that will get you the results you want. The strategy document will identify the best platforms, ideal content formats, and target audiences. Ideally, it should also address matters like who will create and manage digital content. Setting up and managing paid social media campaigns, email marketing campaigns, etc. Depending on the size and structure of your business, and your goals and objectives, you may want to out-source some activities, like social media or SEO. Alternatively, it may be practical to create an in-house position specific to digital marketing. Your digital marketing activities (like everything else you do) must match with the financial and human resource realities of your company. Do not get discouraged! One of the great things about digital media is the ability to accomplish great things on a limited budget. Creativity and good planning are worth more than dollars. Your digital marketing strategy should identify how you will measure the return on your investment (ROI). There are two types of measurement: quantitative and qualitative. Both should match with your goals and objectives, and measure specific progress. It is relatively easy to measure the quantitative aspects of digital marketing success. These include things like traffic, conversions, and shares. Simple tools like Google Analytics can show you who is viewing and engaging with your web pages and social media posts. These tools can also provide advanced analytics and reporting options. And social media platforms like Facebook and Twitter offer insights about when your fans are online, how many are seeing your posts, and who is viewing or responding. It can be trickier to measure the qualitative elements, like brand awareness. You can use indirect forms of measurement, like how many new followers you have on specific platforms, or how many times content is viewed or shared, but you should also take a more direct approach. A good example would be conducting periodic surveys. Ask people how they heard about your brand, and what their thoughts are, based on what they heard. Direct feedback from customers can help you gauge how effectively your digital content is creating a positive, memorable connection between your target audience and your brand. At the end of the day, the qualitative measurements of digital marketing success are arguably the most important. These represent the deeper connections you are making with people, which translate into long-term success for your brand! Your digital marketing strategy is a living document. Update it at regular intervals. And make changes based on the results of your analyses. Do more of what is working well and revise things that are not working well. Small, frequent “tweaks” are preferable to dramatic changes. For example, let’s say that you are getting solid results from your efforts on Instagram but you notice that Facebook is not performing quite as well. Don’t jump to axe your Facebook Page and go “all in” with Instagram. Instead, look at the types of posts that are doing well on Facebook. Then “tweak” your strategy to include more of that type of post over the next month. See what happens. Agility is important in digital. With clear objectives, solid methods of measuring ROI, and frequent “tweaks”, you will be able to polish your digital marketing strategy until it really shines! Over time, by taking a strategic approach and aligning your online activities with your brand’s long-term goals, you will be able to master digital. As your comfort level and your skill sets evolve, you will be able to position your brand to take advantage of new opportunities as they come also. And you will be able to weather the challenges that sometimes come with digital disruptions. Think strategically about everything you do online. 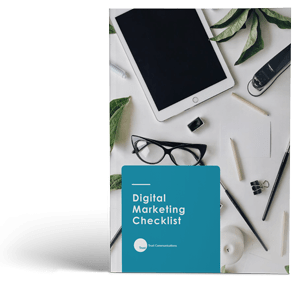 Download the Digital Marketing Checklist to assess your brand’s performance in 5 key areas. Your company can thrive online by making a few simple changes. 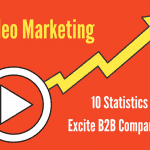 Video Marketing: 10 Statistics That Excite B2B Companies! Video is the dominant online activity for most audiences, including business leaders.